Olympic games in Berlin, Germany is televised by means of closed circut around the city. 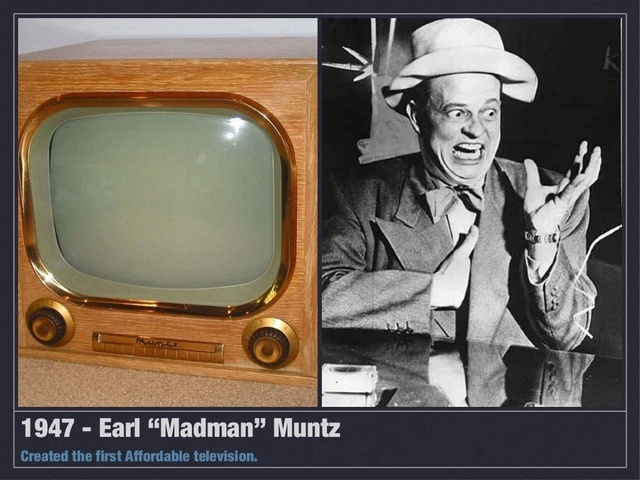 Earl "Madman" Muntz created the first AFFORDABLE television. 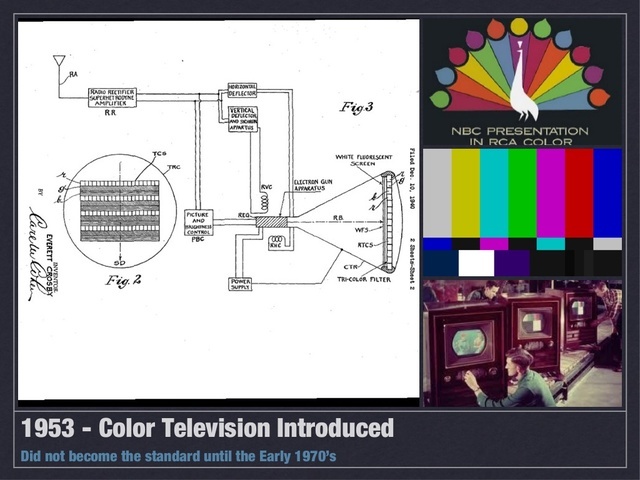 Color TV had been in development for many years. It was finally released to the public in 1950. Started to be standard in the early 1970's. 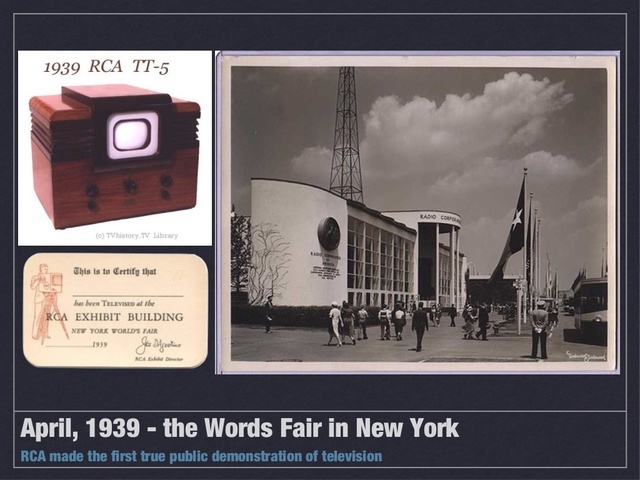 • 530 million watched live global broadcast of the first man to walk on the moon. 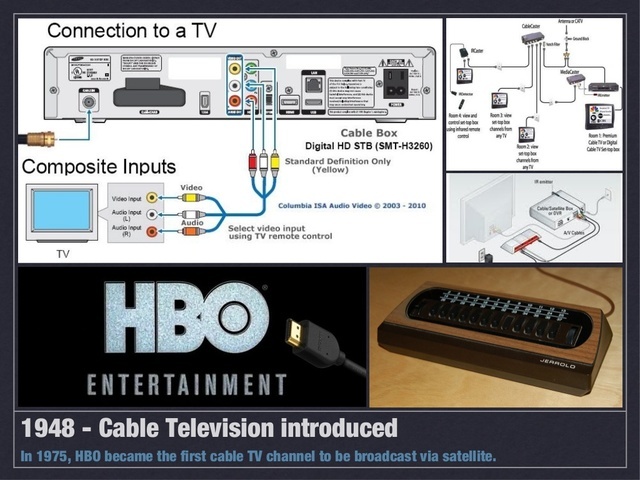 HBO became the first cable TV channel to be broadcasted via satellite. 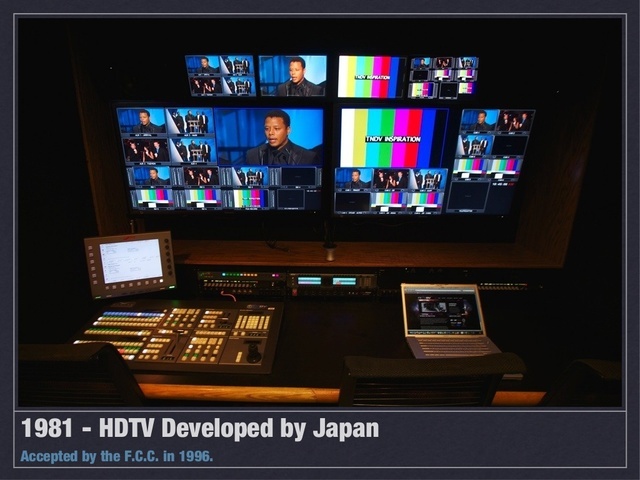 HDTV was developed by Japanese but wasn't utilized until later in time. 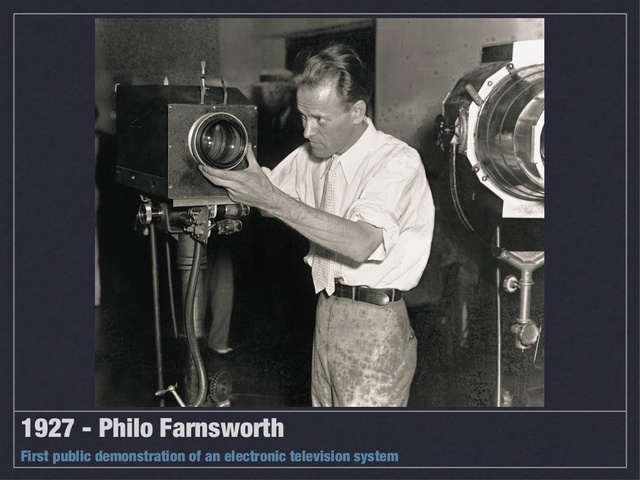 Developers at Panasonic developed and released the first flat screen TV. It quickly took over the TV market. 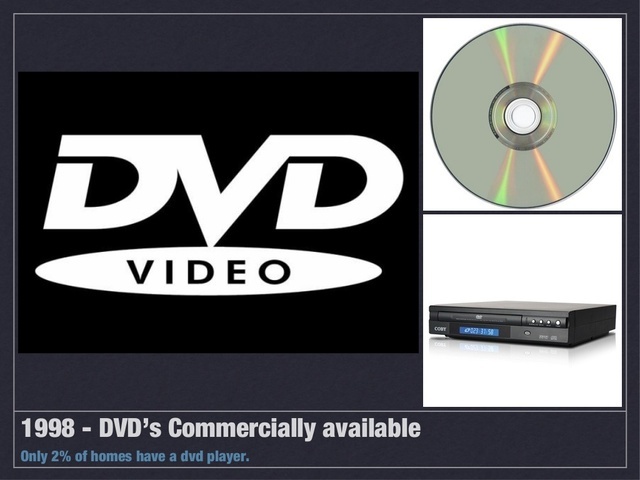 DVD's available commercially but only 2% of households have DVD players. 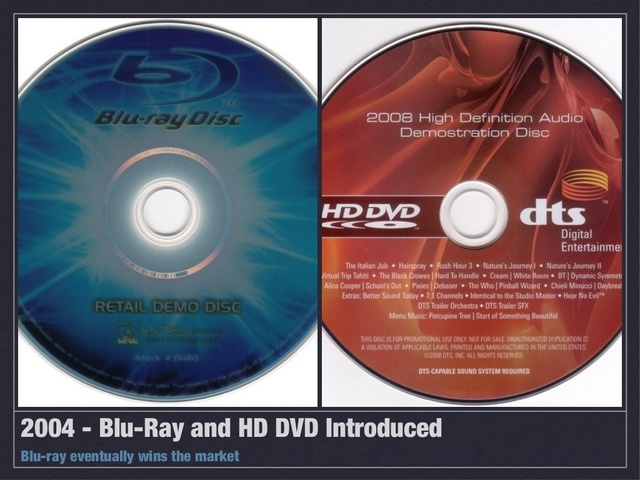 Blu-Ray and HD DVD is introduced but the Blu-Ray ultimately wins the battle of the two. America made the switch to all-digital televion viewing. 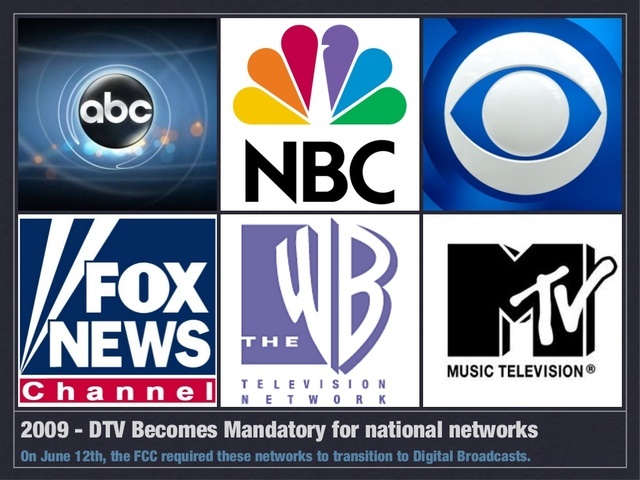 DTV becomes mandatory for national networks. 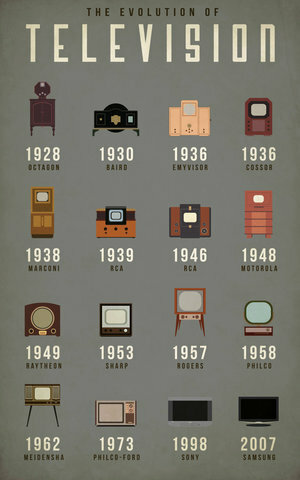 115.9 million homes in the US have at least one TV. 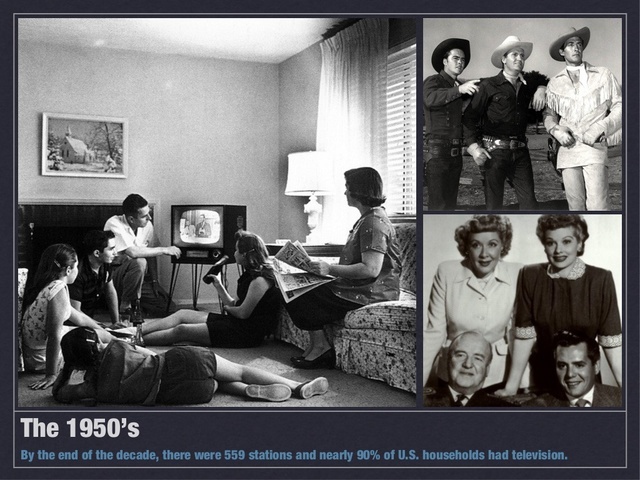 61% of all TV sets are now HD. 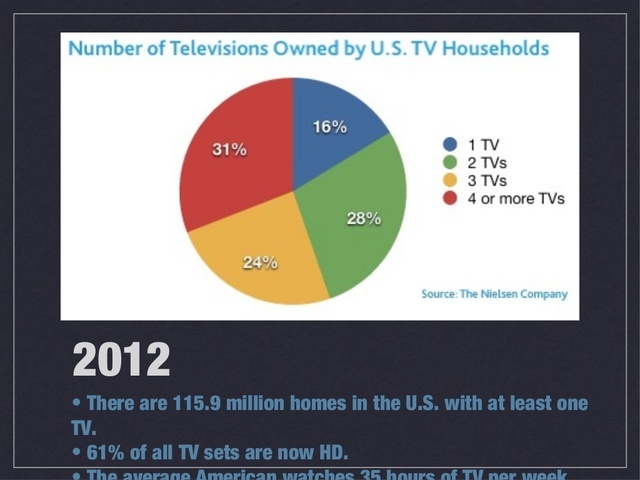 The average American watches 35 hours of TV per week.